Wine Social and Fundraiser is Here! Hey y’all! 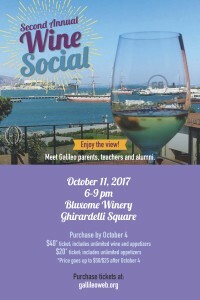 Come celebrate October with the Galileo PTSA at our second Annual Wine Social at Buxom Winery on Wednesday, October 11 from 6-9pm! 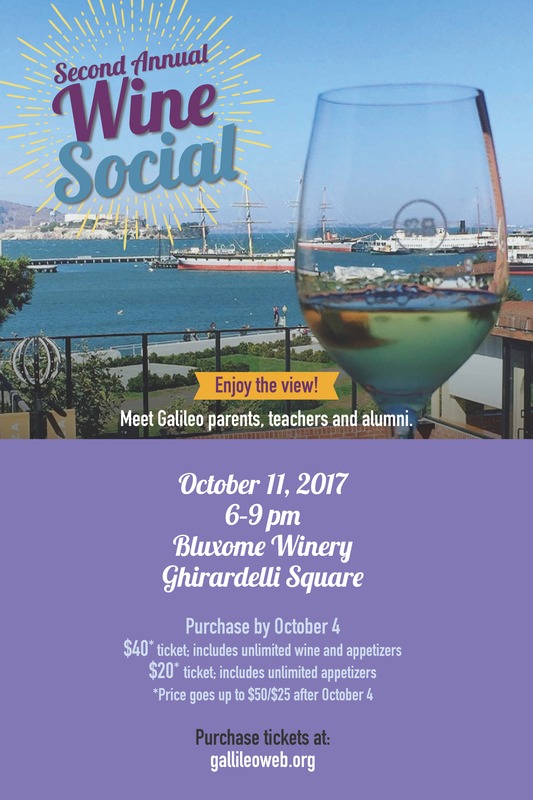 Share a drink or feast on fabulous food with other Galileo parents, teachers, staff and alumni. Buy tickets via PayPal or Eventbrite. Tickets available at the door. Thank you to our wonderfully generous sponsors for their food donations! Thank you to our wonderfully generous local merchants and parents for their donations! Meet fellow parents and help make our school community a better place. Many of our general meetings have informative workshops on parenting. Meetings are in the cafeteria from 5:30 PM – 7:30 PM. A light dinner and translation in Chinese and Spanish is provided. Winter Concert – Tues, Nov 28 Our students share their many talents in this special evening content. World Party – Thurs, Mar 22 We celebrate the many cultures at Galileo with outstanding performances by our students and food from around the world. 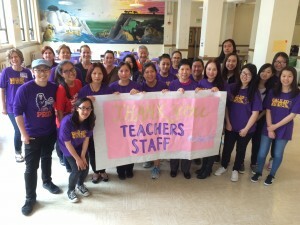 Teacher and Staff Appreciation – Wed, May 5 We show our appreciation our wonderful teachers and staff by hosting a breakfast buffet and BBQ lunch.